NDP Leader Jagmeet Singh's apperance at an event organized by members of the labour movement would not normally generate attention — but this was a celebration for a trade deal he has lampooned. 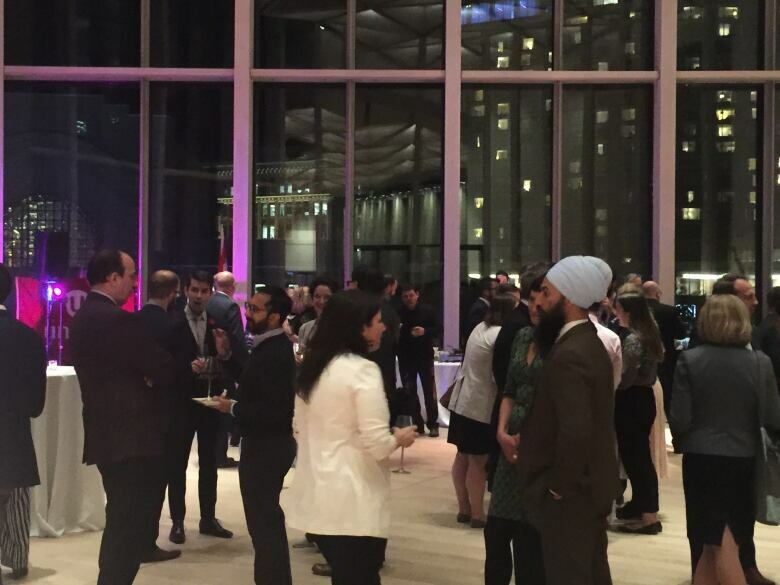 Overlooking Parliament Hill, in one of the National Arts Centre's newly renovated party rooms, drinks flowed through a crowd bursting with happy hugs and handshakes. Unifor, Canada's largest private-sector union, invited politicians, trade negotiators, political staff, and journalists, to a mix-and-mingle celebration to mark the end of negotiations to update NAFTA. Among the politicians in the crowd was NDP Leader Jagmeet Singh. His appearance at an event organized by members of the labour movement would not normally generate attention. But it did on Tuesday night, since Singh has vocally opposed the new United States-Mexico-Canada Agreement (USMCA) trade deal. Less than 24 hours after news broke that Canada had reached a tentative agreement with the United States and Mexico, Singh told reporters,"Canadians were looking for a better deal, and instead, we seem to be getting a new name, but a worse deal." He has gone on to specifically criticize the Liberal government for reaching an agreement even though U.S. steel and aluminum tariffs remain in place, for making concessions on Canada's dairy, poultry, and egg industries, and for aspects of the deal that relate to drug patents. Singh's appearance at the event — despite his opposition to the deal — did not go unnoticed by Transport Minister Marc Garneau. He noted the NDP leader's presence in the crowd during his celebratory remarks. 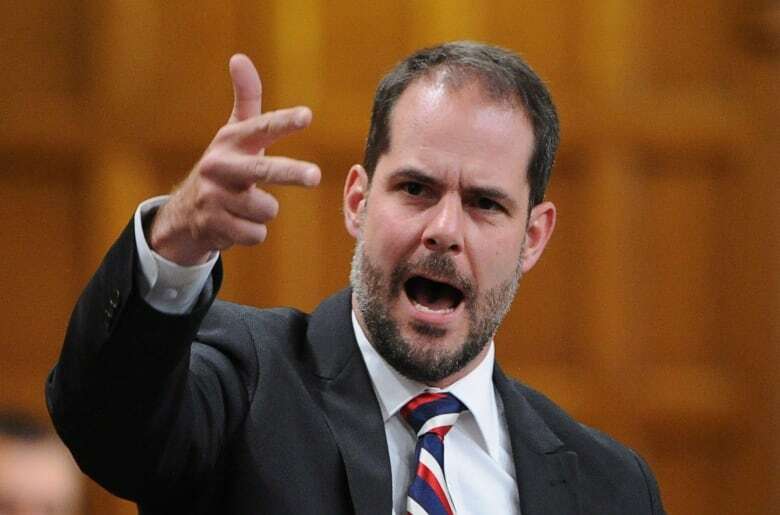 Quebec NDP MP Alexandre Boulerice appeared to stray further from the NDP's official position, praising efforts toward getting "the best deal possible." "I just want to congratulate everybody in this room for the fantastic job that you did, for the leadership of Unifor, to be sure, that we can get the best deal possible and protect workers all around this country," Boulerice​ said. 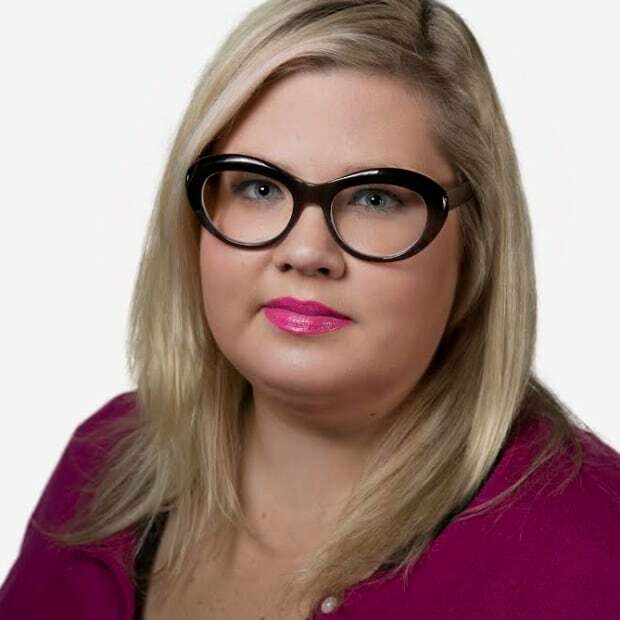 "I just want to say, because I'm NDP, I want to say thank you to Tracey Ramsey, our trade critic. She did a really amazing job, and she contributed to have the best deal possible," he added. 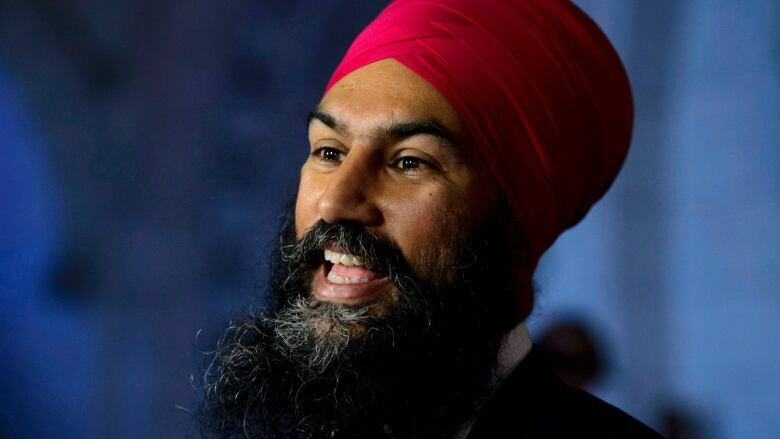 A spokesman for the NDP said the party's opposition to the trade deal has not changed, despite Singh's appearance and Boulerice's comments. "Mr. Singh has been clear about his criticism of USMCA's shortcomings including hurting dairy farmers and making prescriptions drugs more expensive for Canadians," said Guillaume Francoeur in an e-mail. "Just this week, Mr. Singh called for the Liberals not to sign the agreement until the Trump administration has lifted its unfair and illegal tariffs against Canadian steel and aluminum sectors, a call supported by many in the labour movement," he said. Much of the Tuesday event was spent celebrating Canadian negotiators, after more than a year of difficult trade talks. "I think we faced an entirely new kind of challenge when we started negotiating with the U.S.," Steve Verheul, Canada's chief NAFTA negotiator, told the room. "Mexico was not so difficult, but the U.S. represented a degree of challenge," Verheul said, adding Canadian negotiators faced "a completely different kind of negotiating style." "How can I put this politely?" he joked, saying U. S. President Donald Trump's negotiating team put forward "unorthodox negotiating positions." "It required a lot of creativity, a lot of adjustments on our part to come up with something we thought that made sense," he said.